It's not a hand-brewed coffee, but it's handheld, and much better for a hot day in the sun (or haze). 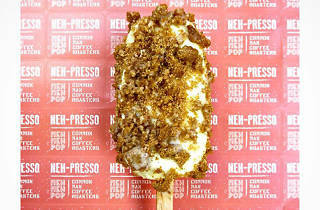 Artichoke pop shop offshoot, Neh Neh Pop, partners with Common Man Coffee Roasters to mint their own popsicle, the Neh-presso. 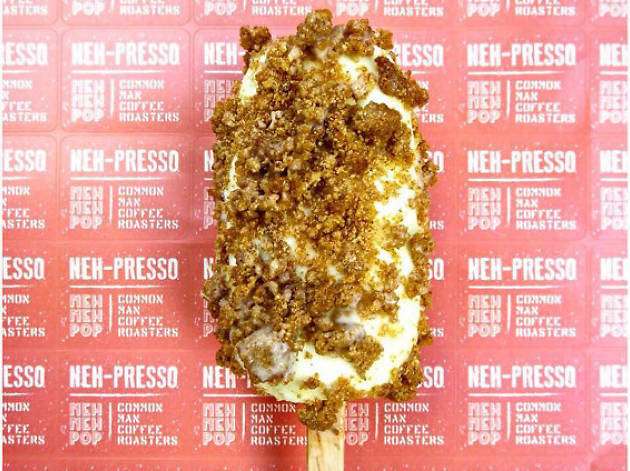 Filled with dark espresso jelly, white chocolate and three-in-one coffee crumble, this two-day launch party will celebrate the cheeky treat, as well as Neh Neh Pop's new permanent ice-cream carts at Common Man and its brother coffee spot, 40 Hands.